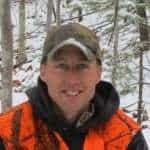 4PT16.16 - Vermont Muzzleloader Season Fun - the4pointer.com | Real Hunts. Unreal Stories. Well, well, well. I finally saw some deer on Saturday. Eight of them to be exact – little ones, big ones, and even a buck – but I didn’t fire a single shot. Why? Because that’s the way my season is going, that’s why! The morning started out well enough. Dad and I had a sweet plan in place for me to fill my muzzleloader doe tag that would allow me to be back to my truck by 7:30 with fresh venison. There is a drive we like to do that has worked a million times in the past. 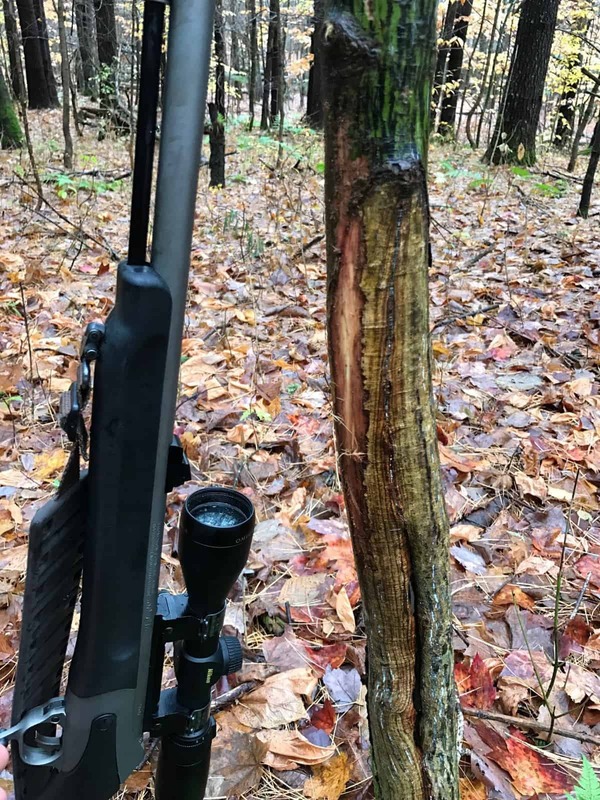 If the deer are in this particular small patch of woods, they have to run through a certain spot if they are pushed. Everything was perfect. There was a gentle breeze that was blowing from Dad to me, which would allow him to walk slowly in my direction and let the wind do the work for us. I like to refer to these drives as strategic hunts. It’s much better to position a shooter along a known escape route and let the driver strategically hunt his way through an area rather than act like a bulldozer driving through the woods. When done this way, they deer tend to sneak out of an area slowly instead of moving like a fighter jet with a bogey on its six. The plan fell apart quickly. A little too quickly. I took my position ahead of Dad and waited for it to get light. Not five minutes after I sat down I heard deer running through the leaves in my direction. 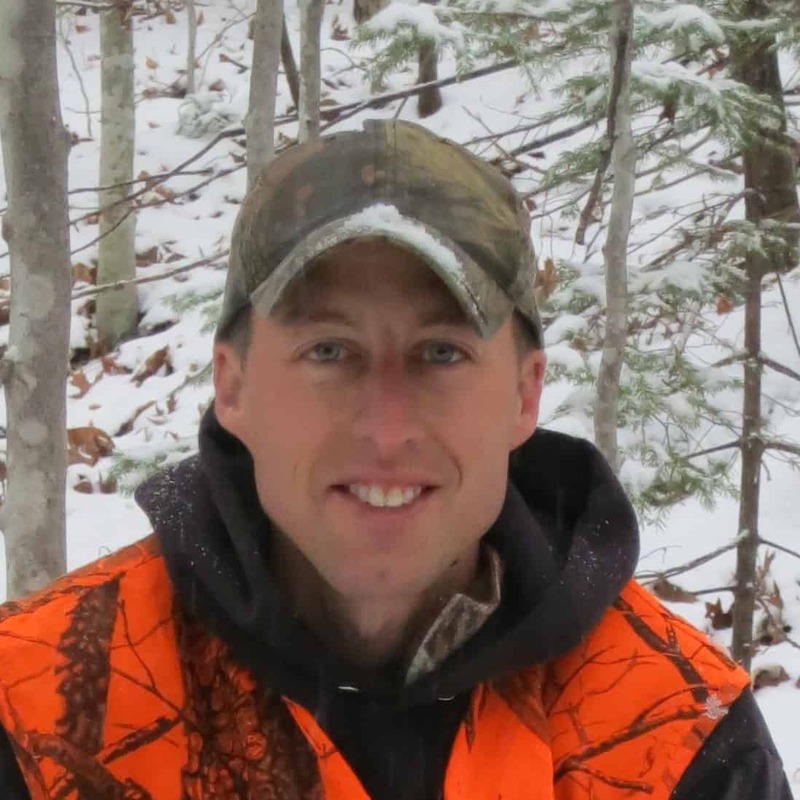 It was too dark to shoot by eight minutes… I raised my binoculars and saw a fine doe, one I would have been pleased to put a tag on, standing in an opening not more than forty yards away. I looked at her, then at my clock, then at her, then at my clock, then at her… It was not meant to be. She bounded away to my left with another deer and a third deer ran to my right. I saw them all but did not shoot. The law is the law, and even though I could clearly see them, shooting would have been wrong. A few minutes later a hunter walked by in the dark revealing the reason for the deer being pushed so early. Had he not been there and cleared the area of deer before legal light, I would have been back to my truck with a deer as originally planned. Oh well. After that, I decided to race to another spot where I’ve seen deer a million times in hopes that I would either get ahead of the deer I’d already seen or catch some coming from a different direction. No sooner had I hunted my way into position than did I hear and see some deer trotting up the hill. As (bad) luck would have it, they angled away from me. The lead doe, one I would have been pleased to put a tag on, stopped slightly quartering away from me. I didn’t shoot. For whatever reason, I just could get comfortable with the shot. She was a good distance out, probably more than 125 yards, and I couldn’t get a steady enough rest. I can’t really explain why I didn’t shoot other than I just wasn’t feeling it. My brain kept telling me it wasn’t worth it at that distance. The risk was not worth the reward and I watched her trot away with three of her little friends. Fortunately for me, I knew where they were headed, so I drank a cup of coffee to give them some time to settle down before going after them. Unfortunately, they didn’t go as far as I had thought. Instead of angling down the hill into the hemlocks they had angled their way up the hill into the hardwoods. As I cautiously peered down into the hemlocks they were cautiously peering down through the hardwoods at me. Eventually, they had enough of my bumbling around and spooked. The last deer in the group gave me a shot but was a “dry doe”, the kind that hadn’t had the opportunity to bear offspring yet. I’ve already tagged one of those this year and decided to hold off on squeezing the trigger for fear of backlash on the internet. It’s very negative out there and my aspirations to be a known as a big buck hunter means more to me than shooting a young, extremely tasty, easy dragging, and tender deer. Don’t just kill’em so you can grill’em! Let’em go so they can grow! None of that is true. I just wasn’t in the mood to shoot a small one. Later than morning I was still hunting through the woods on the way back to my truck when I happened upon my eighth and final deer for the day. Frozen leaves with a light dusting of snow had greeted me first thing in the morning, but as the day wore on the leaves had softened and the dusting of snow melted providing perfect still hunting conditions. To get back to my truck I had to move through an area where I’ve seen at least a million deer in the past. The smell of rutty buck was in the air – strange since I had been through the area earlier in the morning and hadn’t smelled a thing. It was obvious, though. Mr. Big had done some funny business close by. I smelled him multiple times over the span of a hundred yards. My senses were on full alert. I poked my head over the top of a knoll and a deer exploded from its bed less than twenty yards from me. Cripes! I sprinted to the top of the hill in an attempt to get a look at the deer as it bounded away through the mixture of young saplings and evergreens. As he rounded the corner I saw headgear or at least thought I did. He jogged over the hill but wasn’t acting too nervous so I circled around to try and get ahead of him. I caught back up with him a few moments later, spooking him again. This time I saw his rack through my scope as he bounded away with a little more pep in his step. The term “rack” is a bit of an overstatement. I saw one spike on his left side that possibly had a second point, thereby making him legal in the great state of Vermont. Instead of pursuing him further I decided to give him the opportunity to become next year’s shooter, and I called it a morning. That sums up my hunt on Saturday morning. Other than seeing eight more deer than I saw during all of rifle season, it was par for the course. The timing was off with the first batch of deer, I was slightly out of position on the next batch of four, or I was thinking about my next cup of coffee more instead of paying attention to my surroundings on the little buck. So goes it. What’s a guy gotta do to shoot a deer around here? Keep trying, that’s what!